THIS is the moment that a shameless car thief uses a fork lift truck to load a Mini Cooper into a lorry in northern Spain. The brash robbery took place in El Prat de Llobregat in Catalan capital Barcelona. 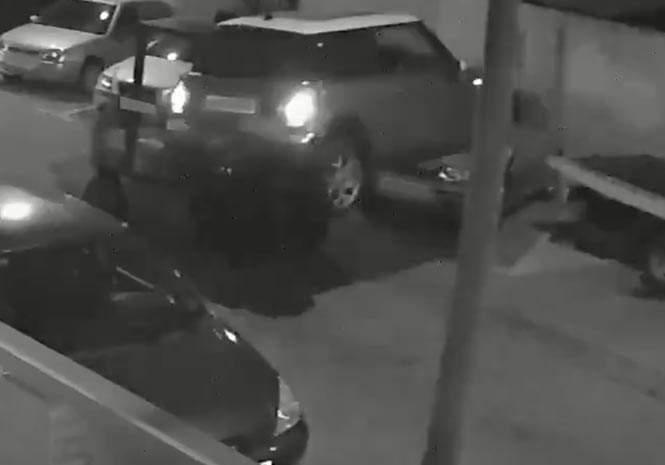 In the video, the culprit can be seen breaking one of the car’s windows before lifting it using the forklift and loading it onto a flat-bed lorry, with the drivers exchanging words before leaving in opposite directions. Investigators from the Catalan Mossos D’Esquadra police force released the security camera footage after using it to catch the fork lift operator. He reportedly owns an unlicensed junkyard and detectives believe he wanted to use the vehicle for parts. Inside the premises, police found another Mini of the same model and colour, plus 20 cars and 25 motorcycles that had been partially scrapped but are still registered as roadworthy with the Spanish authorities. The stolen car has been returned to its owner, while the thief, who already has a criminal record, is to appear in court.